Spinoza wasn’t fazed. It was a chance to start anew. 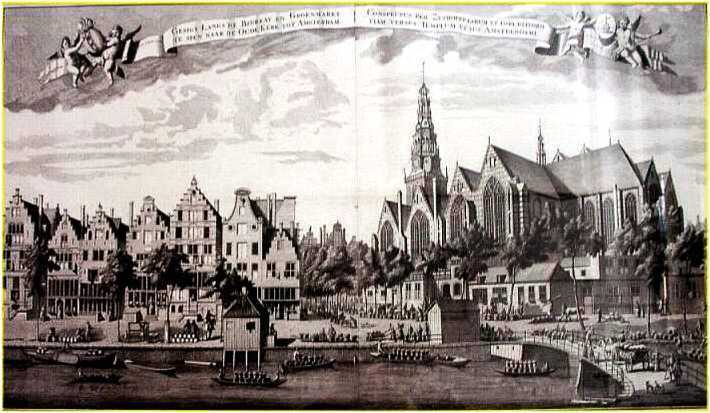 He changed his name to Benedict de Spinoza, left Amsterdam and devoted himself to a life in philosophy. Spinoza’s magnum opus, The Ethics (published posthumously in 1677), is a classic work of seventeenth century rationalism. The Ethics is a fascinating book about God, Mind, and Body. Unfortunately, the core intuitions of the book can be hard to grasp thanks to the approach Spinoza takes to unpacking them. 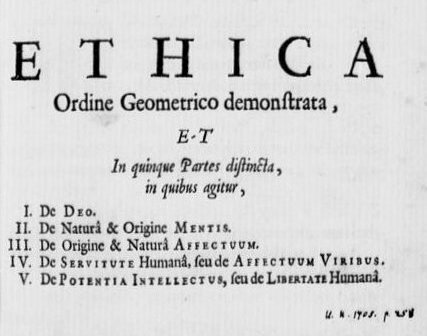 The Ethics takes a ‘geometrical’ approach to its subject matter, treating God, mind and human action in the same way, as Spinoza puts it, as one would conduct ‘an investigation into lines, planes, and bodies’. The book opens with a set of axioms and definitions about the nature of ‘substance’, ‘attribute’ and ‘mode’. It proceeds by deductive reasoning through a set of numbered propositions to conclusions about happiness and the good life. It does not make for easy reading. To follow the argument, one has to track an expanding network of propositions, connected by bewildering logical leaps. Many readers get lost and give up. Most people who make it through The Ethics understand it on an intuitive level. Yakov Bok, the unschooled protagonist of Bernard Malamud’s novel, The Fixer, picked up The Ethics on a whim. He read it, he relates, with ‘a whirlwind’ at his back. ‘I didn’t understand every word’, Yakov confesses, ‘but when you’re dealing with such ideas you feel as though you were taking a witch’s ride. After that I wasn’t the same man’. Spinoza’s grounding principle: Bodies are empowered and disempowered by their interactions with other bodies. Interactions empower bodies by consolidating their structure, increasing their capacity to act and exist. Interactions disempower bodies by destabilizing their structure, decreasing their capacity to act and exist. Take a moment, if you will, to reflect on this principle. It encapsulates an abstract idea. This idea (like the principle itself) is intended to apply universally to all bodies, substances, things, and creatures that exist. For Spinoza it is the divine principle of God or Nature. Now, this may sound a bit whacky. But if we stick with the principle and think it through, something interesting occurs. Spinoza’s grounding principle changes the way that we see the world. Let’s try this out, limiting ‘interactions’ to interpersonal encounters, interaction between human beings. We interact with other people all the time. We interact with people by touching them, smelling them, seeing them, hearing them, talking with them, and just being with them or thinking about them. Spinoza’s insight is that every kind of interpersonal interaction changes us on a physical level. It affects us. We are affected by our interactions and encounters with other people. From the nature of this affect, we can tell whether or not this interaction is good, or healthy, for us, or not. We now see why The Ethics has the title it does. Spinoza’s philosophy is all about the flourishing life. Interactions with other bodies either consolidate our structure, and empower us, or they or destabilize our structure, and disempower us. 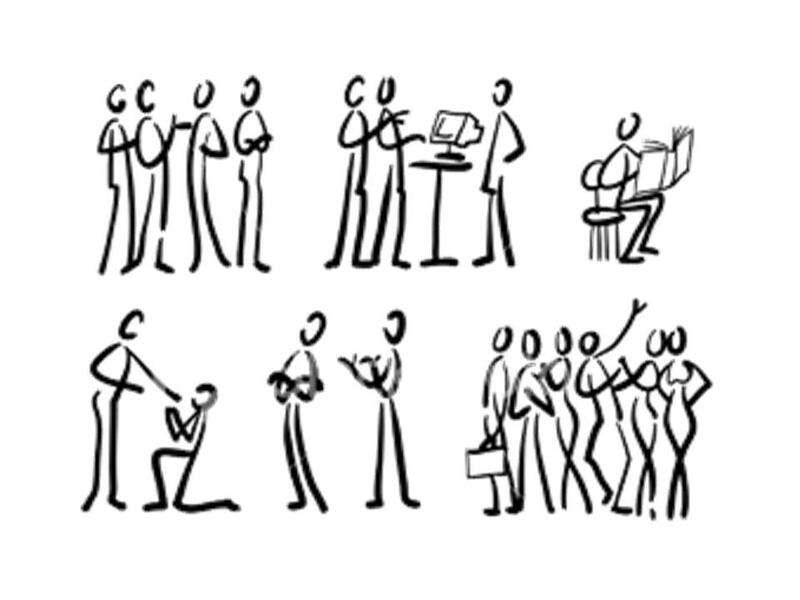 Should we want to live a full, rich, flourishing life, it makes sense that we should pursue interactions and encounters with people that positively affect our systems, increasing our powers to exist. Spinoza’s ethical insight is that we should focus on building relationships with people who enhance our powers and abilities. We should seek, that is, to form empowering friendships. Interestingly, since the grounding principle is the expression of ‘God’, a divine power in Nature, we get closer to God by pursuing these friendships. Friendship, for Spinoza, is a divine event based in a mutual sense of empowerment. Friendships and love relationships are expressions of ‘blessedness’ – the ethical ideal. Social life, for Spinoza, is a chemistry experiment. Friends are people who implicitly (perhaps even unintentionally) help us catalyse and sustain the powers that we enjoy in life – powers that, in many cases, we wouldn’t have independantly of these people. One friend helps you cultivate your creative side. Another picks you up when you’re feeling down. One friend inspires you to be the best that you can be. With another, you have a great time out on the town. True friends consistently trigger empowering changes in our physical and neurochemical systems. Without these friends, we might never experience these affects and the sense of empowerment they bring. Spinoza’s philosophy of friendship can help us successfully engage with social life. With Spinoza’s grounding principle on hand, you are ready to engage the social world and thrive. The trick is to approach new conversations with an open heart and a mind attuned to new possibilities. Pay attention to positive affects as you go. Positive affects are your clue to identifying empowering relationships. Follow your intuitions and live from the heart. Treat life as a fascinating experiment. The reward of Spinoza’s philosophy is a life of strong relationships, which is blessedness itself. How can we apply the destabilizing theory towards trolls? I think there might be a correlation if we consider that it forces us to clarify in new ways. Or not? How would Spinoza characterize the worthy opponent – the “destabilizing” person who, in all probability means us harm, yet embodies an obstacle overcome? How is it possible to become more stable and structured by contacting with a thing that seeks to destabilize you? Good question. I see two possibilities. First, the destabilising force may ‘bring out the best in us’. Consider, for example, someone trained for war. Being thrown into a combat situation threatens them physically, yet psycho-physiologically, it enables them to function at their ultimate level. The same is true for many people who thrive off adversarial situations. The adversary enables then to come alive, because they are (literally or figuratively) made for this situation. The second possibility is a bit more involved. In this situation, the individual in question is not a fighter, but a philosopher of sorts. They respond to destabilisation by acknowledging Spinoza’s grounding principle and thereby acknowledging that they would inevitably experience negative affects in the encounter with this kind of person. This ‘desubjectifies’ the encounter in that it is understood as similar to a chemical reaction. It reflects Spinoza’s approach to practical ethics and the way to achieve what he calls blessedness. If you’d like to explore this idea further, see the section titled ‘It’s not you, it’s us’ in chapter 4 of my book Life Changing. There’s a PDF on the book page (see menu at top of the blog). I’ll look into that PDF. I’m very interested by this sort of thing because it’s a lot different from my normal way of looking at the world. I’m usually much more of a Machiavellian in that I don’t typically think of blessedness or happiness as being as important as duration or greatness. I’m not sure I think Spinoza offers a convincing alternative, but it is an interesting alternative. Sorry, I can’t find your book page. Maybe it’s something wrong with my browser. Could you link it? looking forward to additional posts on this subject – you make it all sound so easy! thanks. Thanks Debra. It might be a while before I can pick up the thread. Currently working on a new book, which is keeping me busy. Still, all things in the fullness of time. no hatred, no envy, no greed, no complaint<total contentment<freedom<pure love of Nature=true love to one God. We become blessed people not by restraining our sins. We are exceedingly joyful and blessed in truth, so there is no room for sins in the state of high mindedness. Spinoza is one of the greatest human beings who ever walked on earth. Very well said, and beautifully too. after Plato and Aristotle on how to live a good life.